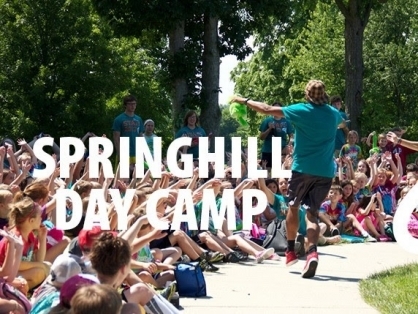 We are super excited to partner with Living Stones Church (909 Pratt Street in Crown Point) to offer SpringHill Day Camp this summer. The week of July 22-26, Living Stones will be transformed into a kids fun zone for kids who've completed K-5th Grade complete with crafts, climbing wall, bungee trampoline, paintball targets, slip and slide, waterslides, camp songs and more. And most importantly, the integration of FAITH and FUN! Every aspect of camp is purposefuly designed to meet campers where they are and challenge them in their developmental growth. SpringHill camp counselors are critical to making this happen--they are emotionally invested in your child throughout the week and provde a young Christian role model they can look up to. Currently, the week costs $199. If your family needs financial assistance, please call 231.734.2616. A $75 deposit is required with full payment made by May 1, 2019. Additonally, a $50 DISCOUNT is being offered for any friends that your child(ren) may bring. In return, your child will receive a gift for encouraging a friend to attend. Click the button below to register!